The Speed Sisters are four women who defy every stereotype surrounding Palestinian women. In a male-dominated environment, the Middle East’s first all-female race car team have proven that they can wear high heels, makeup and nail art, and still compete with men on the speed circuit. Coming from different parts of the Palestinian Territories, each with a different background, the four women have one common dream: to represent Palestine on the Formula One circuit. 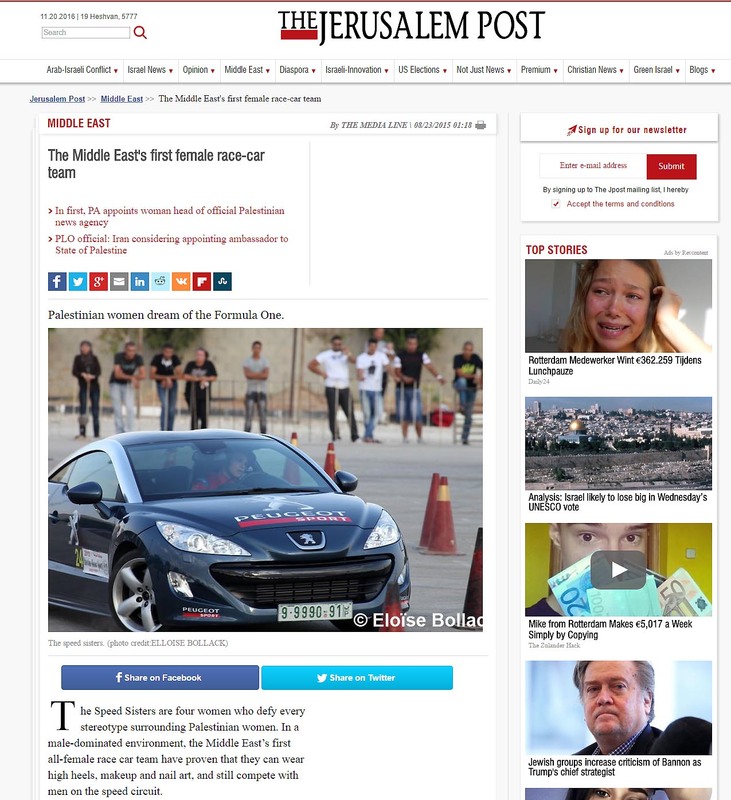 Betty Saadeh, 34, born in Mexico and now living in Ramallah, is the most ladylike of the Speed Sisters and was inspired to enter the sport by her father and brother, both famous racers from Bethlehem. Marah Zakalkah, 23, from the Jenin refugee camp, learned to love cars by accompanying her driving instructor mother to each of her student’s lessons since she was 11. Noor Daoud, 25, born in Texas and now living in Jerusalem, was the first Arab woman to race on the international circuit in Dubai, Japan and Poland. 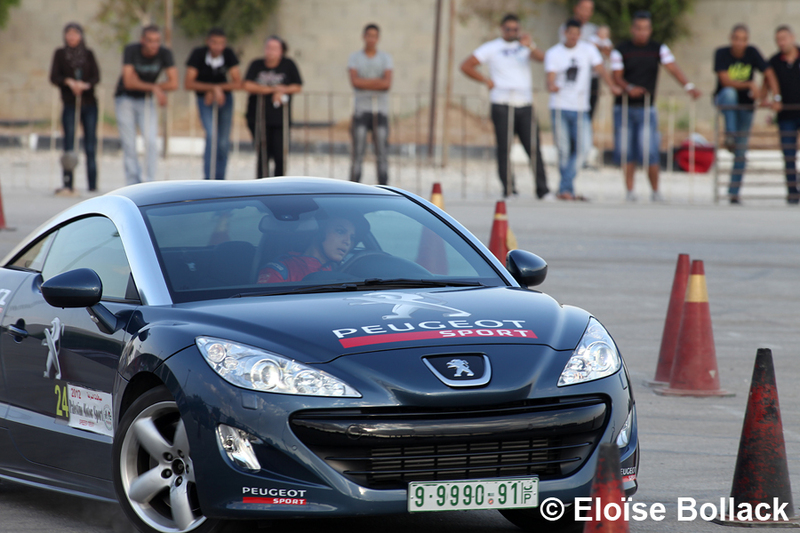 Mona Quraan, 29, from Al-Bireh, was the first and only female racer in the Palestinian Territories prior to 2009. The story of the Speed Sisters started six years ago with the support of the British Consulate in east Jerusalem which donated more than $10,000 in helmets, suits, and training, and paid to fix a BMW car for the newly created team.